So, how do you do define the growth for boosting your sales? Yes, you got a solution. It is the smartest way one can think off by working less and gaining more - WordPress. WordPress is an open source Content Management System (CMS) based on PHP and MySQL which is free to install and easy to use. It was mostly used for blogging but now it has far reached by using WordPress in building business websites, e-commerce websites, resumes and etc. Used by more than 60 million websites, including 30.6% of the top 10 million websites as of April 2018. Do have a look into what makes WordPress attractive and powerful with their upcoming features which stands out from other paid websites? WordPress is open source and free software which first and foremost captures the eye of the business persons towards it. It supports all the features provided by other paid websites and operates globally. It also has its standard paid version for the more advanced look and feels of the website. While creating a website, one also needs to focus on attractive designs and themes for wonderful background effects. WordPress allows more than 1000+ designs to visualize your art skills and use them according to your required business standards. It is a page builder which is provided by WordPress as an optional plugin which allows you to edit pages by adjusting the area between the header and the footer. This confines to the simplest way of using WordPress to build a professional website. A massive volume of data is generated on daily basis from different websites. This makes it important to analyze the past generated data and create reports to gain the most benefits out of them. WordPress enables such analyzing techniques by using Google Analytics to track the website data. It is very crucial for a business website to check out the client's likes and dislikes and also let them know about the future innovations from the organizations. Mail Chimp and Zapier integration help you to achieve it by providing newsletters which are regularly sent by mails to customers, members, employees or people who are interested in. The situation arises when a company takes up a recruitment drive and asks for the application submission. In order to ensure that the application is received from the employee, WordPress helps by providing universal autoresponder support which is a system generated mail reply to all the directly sent emails. The working website is not the ultimate goal but it also requires proper maintenance by looking after its traffic. Traffic tracking is done by WordPress to ensure how many users visit your website on daily, monthly and yearly basis. This could help get a record of the users individual choice, likes and dislikes. 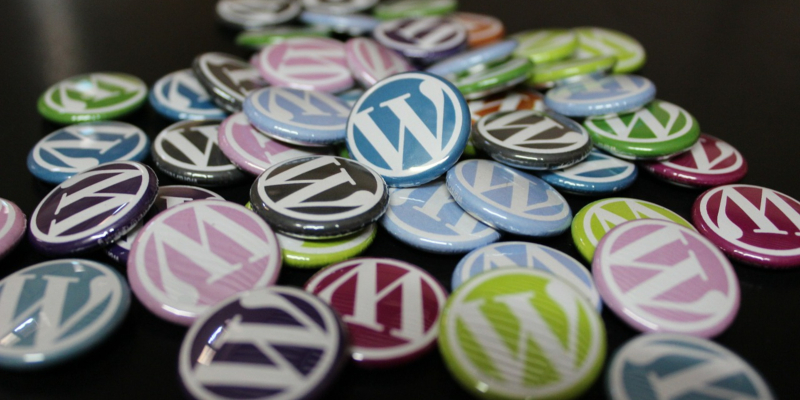 Are you using WordPress already, if not, what's stopping you? You are missing out a lot and we hope you can make the switch to WordPress soon. « Top 6 Graphic Design Trends You Need to be Aware of in 2019. Jacob Johnson is working as a Marketing Analyst at Tatvasoft.com.au, a Custom Software and Web Development Company in Australia;. Writing is fun for him he gets insight to serve his readers better.